Tim Black Talks McCain, DNC, Sean Suiter, Project Veritas, Denzel Washington & More! Actor Denzel Washington says the blacks can’t blame the prison industrial complex for mass incarceration we must blame black families for lack of fathers. Denzel continues: the real factor is home life and two parents — “It starts at home” and it “starts with how you raise your children. People like this narrative because it removes any blame from law enforcement, the judicial system and private prisons and puts it on individual families. 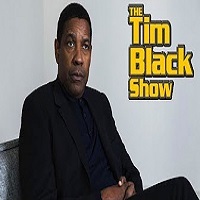 Tim Black addresses the Great Denzel Washington. Tim Black has over 100,000 YouTube subscribers. Thank you for joining us! We Are The Only Change That’s Real! James O’Keefe’s Project Veritas attempted a hidden camera expose on The Washington Post regarding a fabricated Roy Moore sexual misconduct story planted by a woman posing as a “mother of Roy’s out of wedlock child”. Project Veritas was unsuccessful in getting Washington Post to run the false story. Tim Black explains in detail. Conspiracy Theories or Reasoned Intuition? No new details have emerged about the case since the night before Thanksgiving, when police disclosed that Detective Sean Suiter was killed on the eve of his scheduled testimony before a federal grand jury investigating a corrupt squad of city police officers. Rep. John Conyers has done many great things in Congress. Unfortunately, some former staffers say John Conyers has done some not so great things such as sexual harassment. Nancy Pelosi appeared on the Meet The Press where she defended Conyers and simultaneously making it worse. Conyers’ office recently confirmed issuing a settlement of $27,000 to a former staffer who says she was fired for resisting the congressman’s sexual advances. Tim Black calls for Democrats to call out harassment without being partisan. John McCain Tells Hillary “Shut Up! What’s The F*** Point?!?! John McCain gave his good friend Hillary Clinton some tough brotherly love in an interview for Esquire Magazine where he told the failed Democratic candidate to Shut Up! Move On! and What the F*** are you doing? Let it go! Tim Black has fun explaining this recent turn of events. John Conyers, Project Veritas, Baltimore Police, Denzel Washington and More!